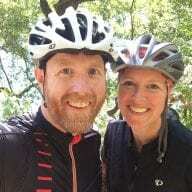 Rode the new Central Park course this morning. It’s been a long time but I recognized every meter of the circuit, like this one, a mile or so from the base of Cat’s Paw Hill. 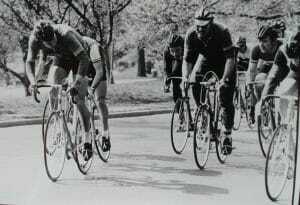 But I couldn’t come close to the 13/14 minute lap times we routinely did way back when (’68, ’69, ’70, ’73) during the springtime Central Park Series. 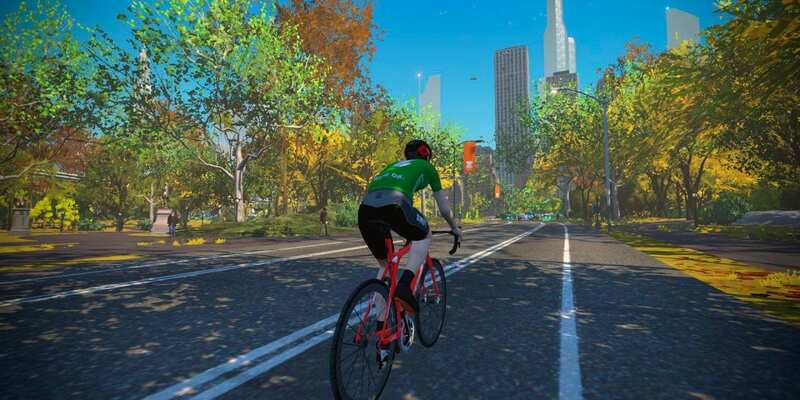 Great job Eric and the NYC boys at Zwift! Central Park’s ground-level roads are best understood as three interconnected loops of continuously rolling, curving roads. To the north you have a small loop which includes Harlem Hill. In the middle you have a large loop which covers approximately 50% of the park and includes the start/finish banner and start pens. Lastly to the south you have another small loop which includes the sprint point. This route covers all three loops in a figure 8 fashion. This course, like some of the other courses in NYC, has no “reverse” version. It heads north from the start pens, which means you do not ride through the start/finish banner until the end of the first lap. Therefore, we’ve created two Strava forward segments: one beginning just after you exit the pens to cover your first event lap, and the other beginning at the start/finish banner for additional laps.